Lots of lifting today: DL 7,750; Clean 2,275; Bench 4,305 (including a new 1RM PR @ 225#); Total for the day: 14,330. Running total is 113,780# this month. Mission accomplished! 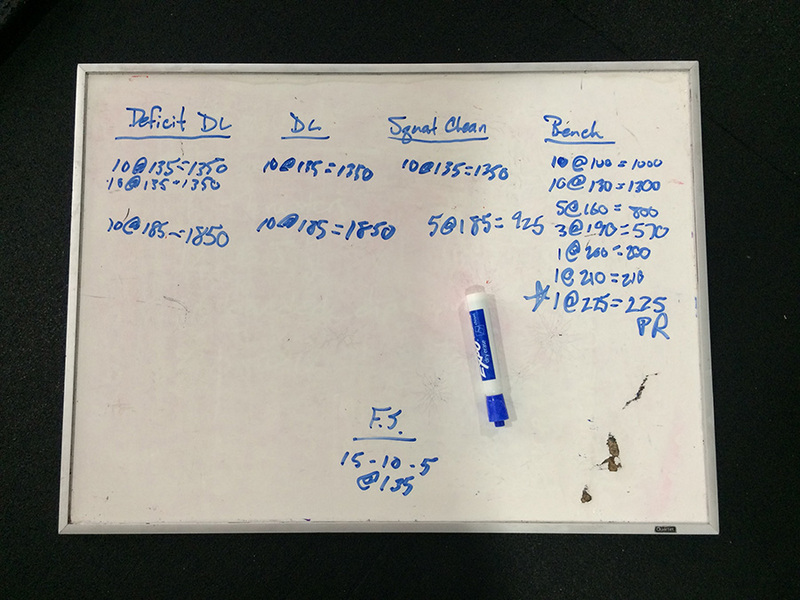 Also, I did 15-10-5 front squats at 135#. This is part of WOD 1 in my next comp - except the weight will be 115#. These were pretty easy, so I'm not too concerned about this for the comp.